Learn to create an invoice. Add from Expenses – adds expenses to the invoice, but make sure they have the same currency as the invoices. 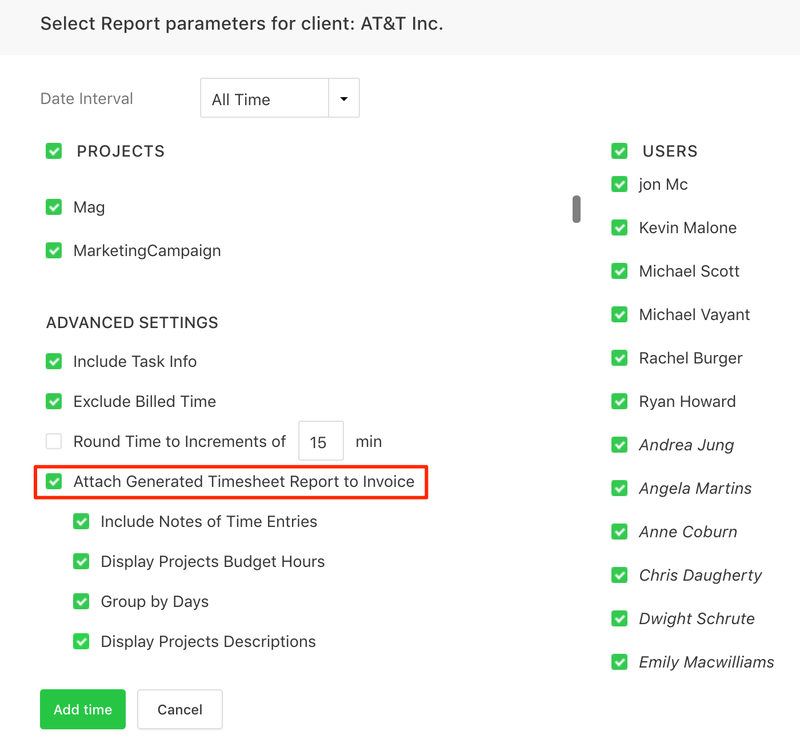 If you select Add from Timesheet you also have the option to attach a time report to the invoice to offer more details about what you've been working on. 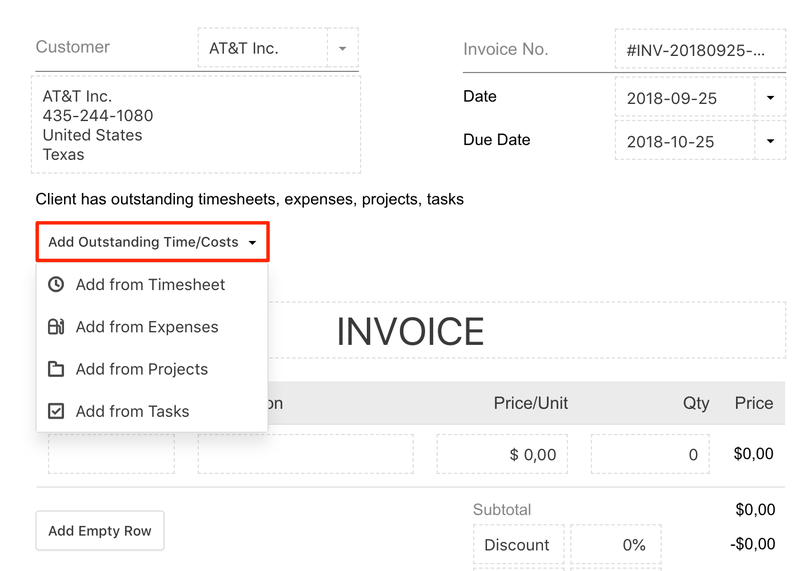 You can also create an invoice by going to Projects → select a project → Overview → click on Invoice Unbilled AR.